To reset your account password, go to Settings >> My Account, and click "Change account password" towards the bottom of the page. Please note, if you are a Google Apps user or if you use the "Login with Microsoft" option to enter your Nimble account, you do not have a password with Nimble. 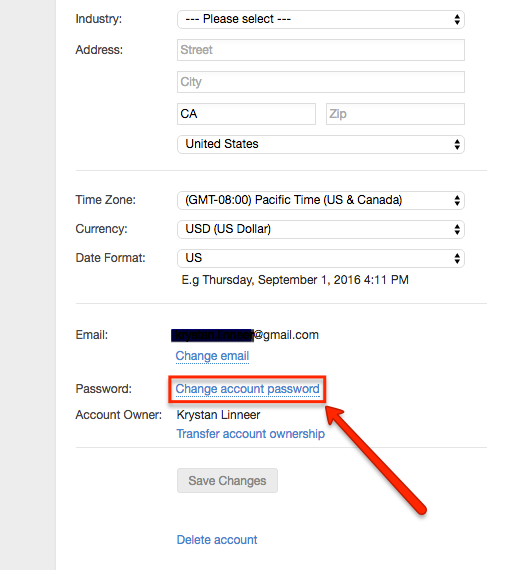 If you would like to complete any action in Nimble that requires a password, you may set one up from this same page!